Tampere Art Museum is located in a significant intersection of traffic, culture and nature on the west part of the city ‘Tampere’. Our design proposal consists of 3 categories, which are urban redevelopment, building design for 3 different purposes and landscape design. 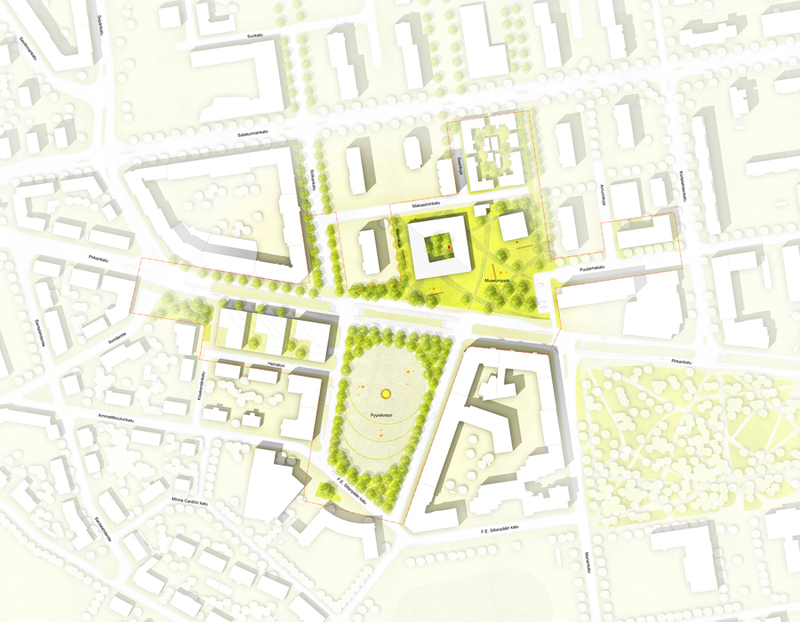 The proposal is based on urban contextual and cultural approaches. 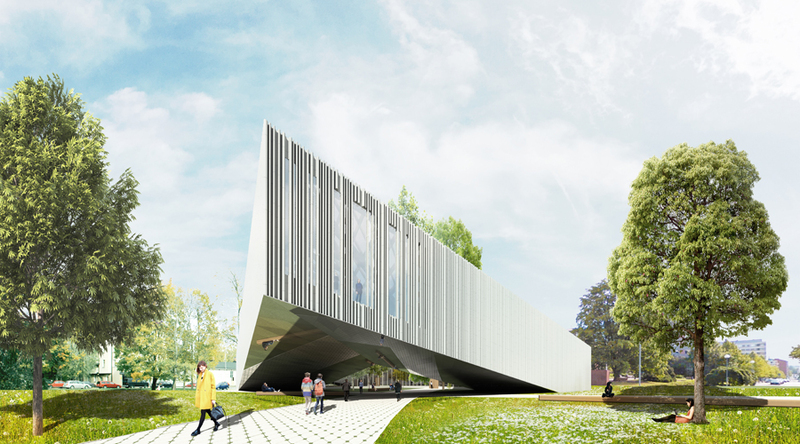 The Museum could be perceived as a landmark of the city through the proposal. 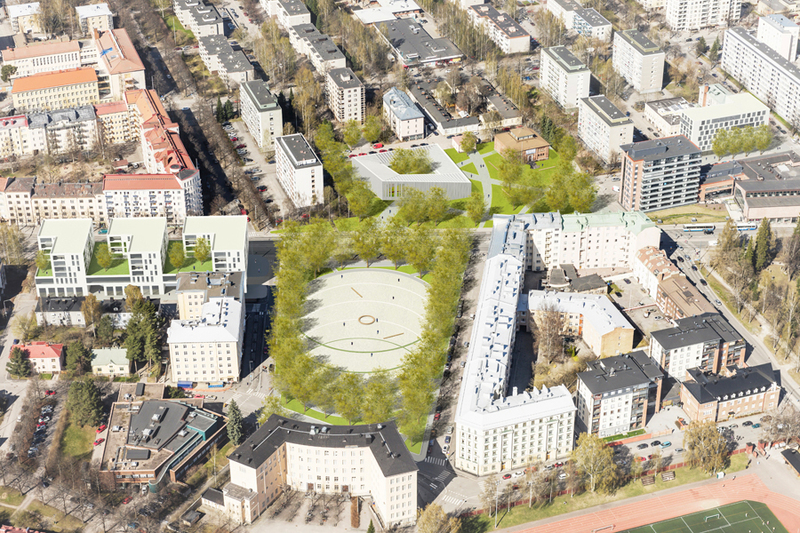 Our design principles lead to blending in creatively with social, spatial and functional aspects and to forming a basis of development for the Tampere Museums Quarter. 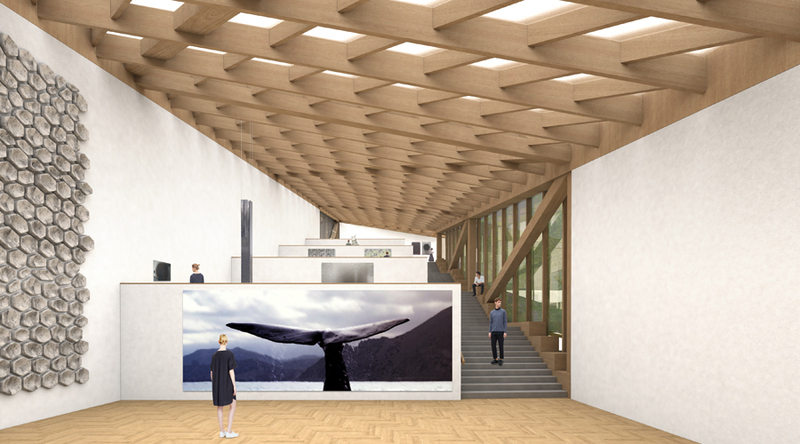 The design process of the new museum building is based on multi-function and flexibility, allowing the building to adapt to different exhibitions and demands. The new museum building is formed with almost double size of existing museum building integrating in same design language, which reflects its respect to the existing buildings and creates an architectural ensemble. By carving the courtyard, the existing large trees can be kept. In addition, the folded and lifted volume on west-south corner welcomes visitors into the main entrance and makes the courtyard accessible for the public. The main existing building is sustainably reused for exhibitions and the small building is also functioned as a café House giving a meeting point for the neighborhood and visitors of the museums. The outer façade is mainly covered with pre-fabricated ceramic tiles. This solid appearance creates a dialogue between old and new and a modern empathetic interpretation of the architectural uniqueness from the existing museum building. The courtyard façade on the inner side is fully covered with glass wall to create a transparent connection between interior and green courtyard. The wood timber roof-structure with opening ensures a good daylight condition in interior spaces. Entry: Visitors can arrive to the main lobby in new museum building through the main entrance of the courtyard. This is a central point of the building where visitors would receive general information and get an overall view of spatial connections inside. Large empty space in the lobby gives visitors openness and welcome mood. Moreover the basement exhibition areas are connected through the big representative staircase from the lobby. Exhibition Zone: Collection exhibition zone is located in the open-layout space on the new building along the sectional stepped area, where visitors walk around the exhibition zone like climbing a hill and looking at the whole art works in the exhibition. Furthermore, gentle slopes let visitors feel unique in the exhibition space. Changing exhibitions are happened in totally a large room on the basement level, which provides optimal flexibility of exhibitions in large span structure. This large space is gently divided with movable vertical intervals. Public Space: The outdoor space between museum buildings is directly connected to small existing building, where can be refurbished as café house. In this outdoor space, people can get a views of whole museum area and feel comfortable during visiting museum and their break. Structural Design: The new building is simply a single-story building with steel structure, which consists of steel columns (d=500mm) and wood covering. This is expanding around 40m x 40m gross area. The lifted part of the volume is supported by steel trust structure. Steel frames in the roof are covered with wood timbers, sub-beams and translucent glass panels to optimize natural sources for the interior as much as possible.